"These cookies are great for your favorite furry friend. Every dog I have given these to loves them. 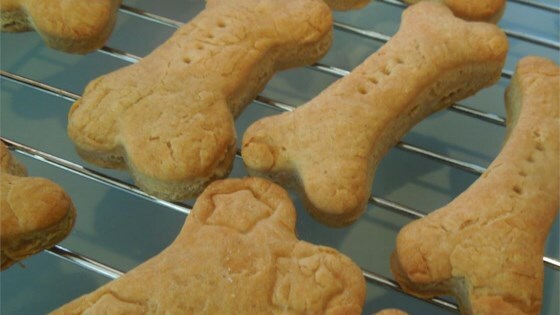 It is nice to use doggie type cookie cutters, like bones or fire hydrants." My children and I used this recipe for a fundraiser for animal victims of Hurricane Katrina. We raised over $500 selling these biscuits. Thank you for sharing this recipe.